Medical Emergency – Are You Ready? You have a medical emergency and no one knows your history. They base your treatment on your vitals and condition – but maybe they don’t know the medications you take or a disease you may have. 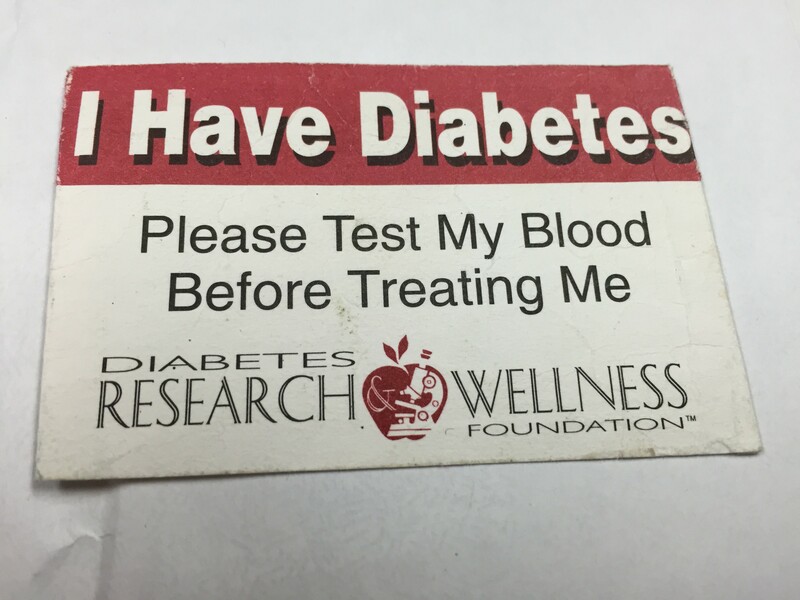 My sister, Debbie was diagnosed with Type 1 Diabetes when she was 4 years old. One of her biggest fears is that she will have low blood sugar and the medical team treating her thinks it is high blood sugar and treats her with the wrong medication. Keep It With You – Personal Medical Form. Center for Disease Control and Prevention recommends that you “Keep It With You” (KIWY) by using this Personal Medical Information Form. This form is intended to be a voluntary and temporary record that lists health information for people who need care during disasters. It also could be handy in the event you are in an accident. This simple form can provide reliable information about you or your family member. Use an App! – My Smart phone has a Health App that can be accessed even in an emergency. If your phone is locked, and you are in an accident or medical crisis, anyone can open this app and see basic medical information as well as emergency contacts. Take a minute right now to locate and open this app. At the minimum put in your name, medical conditions, allergies, date of birth, medications, and emergency contacts. How thoughtful of Nurse Julia Thompson to share this tip in an article and Facebook post. If you have an android phone, list emergency contacts under ICE – In Case of Emergency. 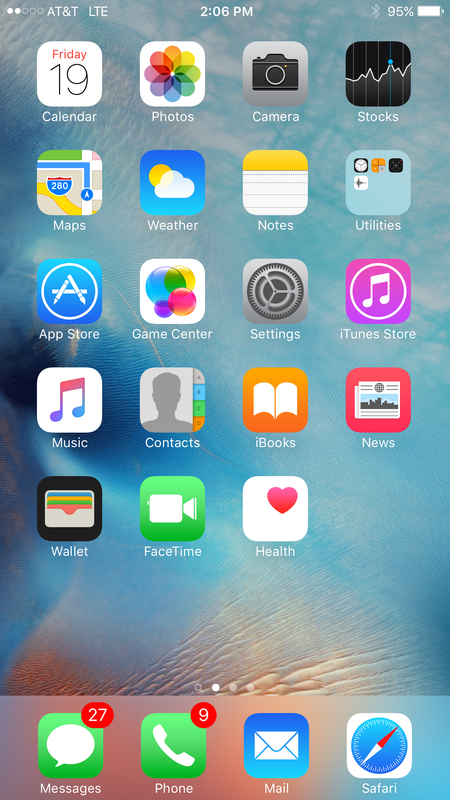 If you don’t want to use an App, you can also list your name as the owner of the phone and include basic information. Select the option to share this information when phone is locked. 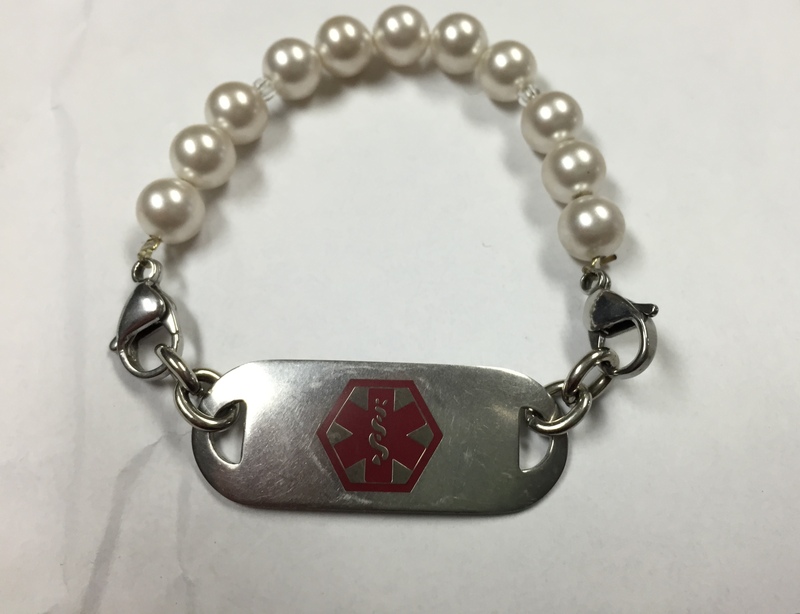 Wear it – wear a medic alert bracelet or tag. My sister has several options she can pick from to clip her medical alert bracelet to a different strand of beads. Put a Card in Your Wallet – My sister has this card front and center in her wallet. It clearly states that her blood should be tested before treatment. What’s next? Take 5 minutes to update your phone, find the app, list your emergency contacts, and medical conditions. If the paper path suits you better, print and fill out the Keep It With You form available from CDC. If you have a medical emergency, make it easier for medical personnel to contact your family.